Exploring foreign lands can work up a man’s thirst, the kind that can’t be quenched by just any girly-man beer. When this happens, I reach for a He-Man 9000 Ultra Super Strong Beer. I encountered the world’s best beer name at a bar in Darjeeling, India. 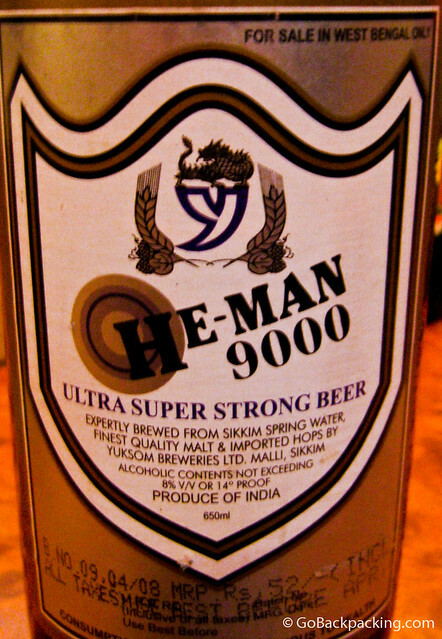 As the label indicates, it’s brewed in Sikkim, the tiny Indian state in the Himalaya just north of Darjeeling.